With only four days left to get your Super Bowl gambling fix, the news around the Los Angeles Rams and New England Patriots battle has focused on Tom Brady’s legacy and the stalled point spread. While NFL gambling fans noticed a quick line move, the betting has settled in with the Pats favored by 3 points. Most experts believe the number will stay there, which is great news for New England backers who feel their run game can wear down the Rams for an easy win. And Tom Brady props are popping everywhere as the GOAT makes his ninth Super Bowl appearance looking for his fifth Super Bowl MVP (he is a big favorite this time as usual). What is the current Super Bowl gambling line? Bettors have had plenty of time to analyse the trends, scope out the offense and defense matchups for both sides and pick through the overload of props bets. When it comes to the Super Bowl though, there’s always more info to digest. Bovada has the line at -3, while Patriots bettors get an extra free half point over at Betonline, who still had the line at -2.5 as of Thursday. The line on the game hasn’t changed much in the last week. New England originally opened as a 1-point underdog but that was extremely short-lived. Who is on the Super Bowl Injury Report? The Super Bowl injury report hasn’t revealed much useful information for bettors. New England, who has a reputation for not being very forthcoming with injuries didn’t list a single player on their report. For the Rams only three players were listed, all probable, including running back C.J. Anderson (illness), safety Blake Countless (foot) and place kicker Greg Zuerlien (left foot). Running back Todd Gurley doesn’t appear on the report and according to the Rams the knee injury that affected him late in the regular season is not an issue and was not the reason he only carried the ball four times against the New Orleans Saints. How do the offenses and defenses match up? This Super Bowl matchup features two of the top four offenses in the league against each other. That could mean mean lots of scoring on Sunday and the Super Bowl 53 over-under was hovering around 57.5, which is one of the highest of all time. During the season the Rams were the No. 2 scoring offense with 32.9 points per game, while the Patriots ranked fourth with 27.3 point per game. With those kinds of offenses squaring off the difference makers could be which team’s defense steps up. Los Angeles had the 20th ranked scoring defense in the league this season, while New England ranked sixth at 20.3 points per game. The key for the Rams defense will be getting pressure on Tom Brady. The New England offense line is very good and allowed only 30 sacks this year, second best in the NFL. 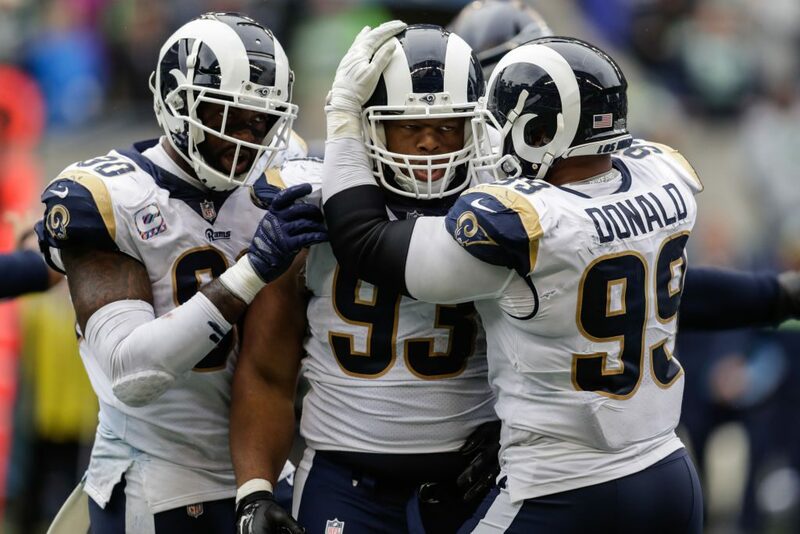 We’ll see how the do against Rams defender Aaron Donald who led the league with 20.5 sacks this season. Can I handicap the Super Bowl 53 referee? Super Bowl gambling requires handicapping that goes beyond the normal stats and analysis. If you really want to dig deep for trends for Super Bowl 53 take a close look at the referee assignment. Getting the call for the zebras is veteran ref John Parry. In the seven games they played with Parry as the ref the Rams are a perfect 7-0. In the 14 games the Patriots have played in with Parry as the ref they’re 9-5. Conspiracy theorists have already fired up the logic that Patriot haters want the Pat to lose and maybe Parry hates the Patriots.